Made for tab hoarders like you. View all of your tabs across all windows in a single list. 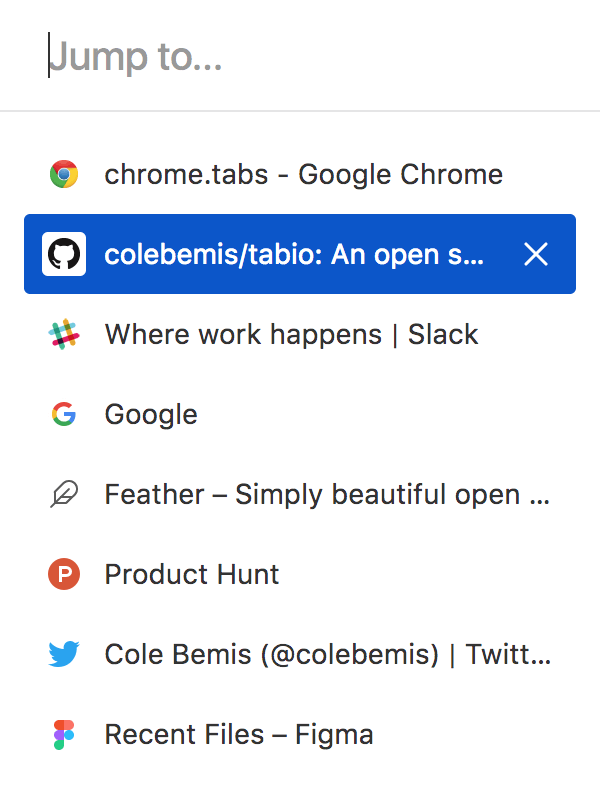 Quickly find the right tab with fuzzy search. Speed up your workflow with keyboard shortcuts.